Single page websites are a popular trend in 2016. In many cases, more people are viewing websites from their mobile devices than a desktop or laptop computer. Scrolling has become second nature for most internet users, and one page scrolling sites take advantage of this behavior. 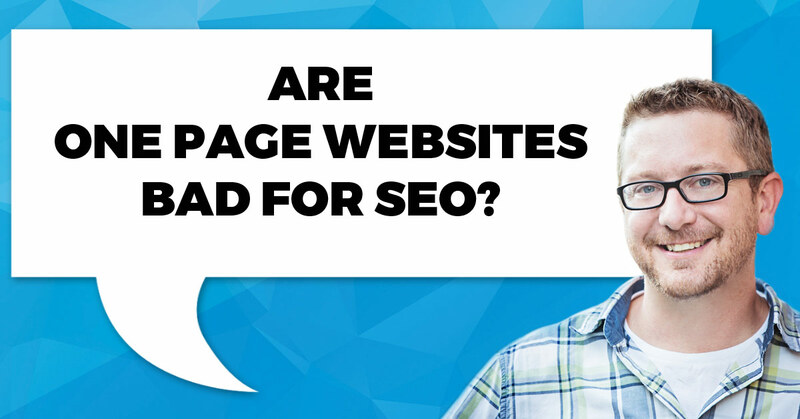 But are single page websites bad for search engine optimization? The answer is not as simple as a yes or no. There are many different factors to consider when determining whether or not a single page website is good or bad for your business. Lets look at the pros and cons of both one page websites and traditional multi-page websites. If you are a wedding photography and you only shoot in one city, then a single page website may work fine for you. However, if you want to attract engagement shoots or if you want to attract people from nearby cities, a single page website will inhibit your ability to rank for multiple locations or multiple types of photography. In extreme cases, you may have enough domain authority to allow you to rank for a variety of keywords, even when they aren’t included on your page. However, usually you’ll have to significantly outrank the competition before this will happen. In other words, if you have a page that is optimized for “Dallas Wedding Photographers” you may still rank for searches like “Dallas engagement photographer” if there isn’t much competition for that phrase. However, if enough other people are optimizing strong pages for Dallas engagement photographer, you’ll have a hard time outranking them without a specific page or set of pages optimized for that keyword phrase. You should also consider your business goals for your website. If Google and search is not a priority, then a single page website can be good. It can offer a specific user experience that you’re trying to craft for your target audience. For example, you can easily direct people through a specific sequence of information on your page. 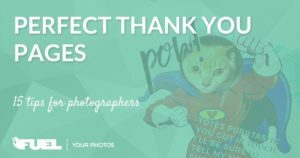 First they read about you, then look at a few of your favorite photos, read a few testimonials, and finally they have an opportunity to contact you right there on the page. This type of well designed experience can be great for converting visitors to customers. Also, single page websites tend to be a better user experience on a mobile device. As we know, there are more searches on mobile devices than on desktops at this point. With multiple page websites, you can have different pages that will rank for different terms. You can structure that particular page to rank for a different term by using specific and congruent URL structure, page title, meta description, H1 copy, and alt text. On a single page site, you only have one opportunity to use a page title and a meta description and URL structure. You can put multiple targeted H1 and alt texts for different types of keywords, but it’s less effective and impactful than if you had a page devoted to that specific topic. Multi-page websites also allow for a more advanced SEO technique called “siloing.” Siloing is the practice of structuring your website into main areas of interest for the purpose of demonstrating authority in these areas. 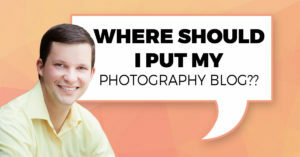 Each of these main areas can be different locations you service and/or styles of photography you provide. Another key benefit to using a multi-page site is having pages devoted to different galleries. This can be beneficial for Google image search. Single page sites tend to drown the images amongst all the other images on that page and all the other text and copy. When you have the ability to isolate images from a gallery on a single page, you have all the other attributes like page title, meta description, URL structure that you can attribute to that gallery, which will allow that gallery to be indexed better in a Google image search. What if you could get the benefits of both single page sites and multi-page sites? Excellent user experience and control of the user flow, along with the ability to rank for multiple keyword phrases. There is no reason that you can’t have a long scrolling page as your home page while still having other pages on your site. The home page could still have an about section, a gallery section, testimonials and a contact form. However, if people wanted even more information about you, or wanted to browse a full gallery, or dig deeper on something you mentioned, you could direct them to another page that allows you to specifically target that keyword. You could even take this a step further and have a long scrolling section for your main topics. For example, a whole page dedicated to engagement sessions that includes information about what happens at sessions, a gallery of your favorite engagement photos, a featured session, pricing, and then an archive of all of your blog posts in the engagement category. The only consideration here is that on most one page sites, the main navigation just links to an anchor tag on the page, causing you to scroll to that point when clicked. You would want to change the navigation to go to the other pages on your site instead of the anchor points. My guess is that most people are probably scrolling down the page before clicking the main navigation anyway, then when they click the navigation that takes them to a different point on the same page they may be disappointed. Single page websites only allow you to optimize for 1 keyword phrase. One page sites allow you to control the user flow, forcing visitors down a specific path. Single pages often allow for a better experience on mobile. Scrolling is easier than tapping. Multiple pages allow for more advanced SEO strategies like silos. Multiple pages also help add context to your images, allowing them to rank better in image search. You may not need to choose one or the other, hybrid options are available! It is not necessarily better or worse to use a single page website or a multi-page website layout. It really depends on your goals and the user experience that you’re trying to craft for your target audience. It’s determined by how you want your customer to find you and experience your website. In my opinion, if you are wanting to rank for more keywords and widen your nets on search engines, multi-page websites allow for this to be accomplished more effectively. If you are not using Google or any of the other search engines as a way to attract new clients, and you’re more concerned about user experience for your referral or other type of traffic like social, than a single page layout can work for you. If you want the best of both worlds, consider a hybrid model! Great information here! Thanks for sharing! I Like the way that you have written your article, very concise and easy to understand. I totally agree with the points you have made about optimising a one-page site. Named anchors that are keyword optimised seems to be the best way forward. I will try the multiple H1 tag sections and see if this has any impact on some on my one-pager sites. Previous PostWhere Should I Put My Photography Blog?